Hotel Villa Casa Blanca is built along the model of an elegant, tropical villa where you can relax and enjoy the paradise that is this area of Costa Rica. The hotel is just a short walk to the protected beach of Playa Ocotal where you can soak up the sun, enjoy the beach and venture out to explore other areas. Volcanoes, wildlife,sailing, snorkeling, are all nearby. Those getting homesick or needing to stay in touch with the office can do so using the complimentary Wi-Fi service. The main entrance to the hotel is through the beautiful and lush gardens surrounded by tropical plants. 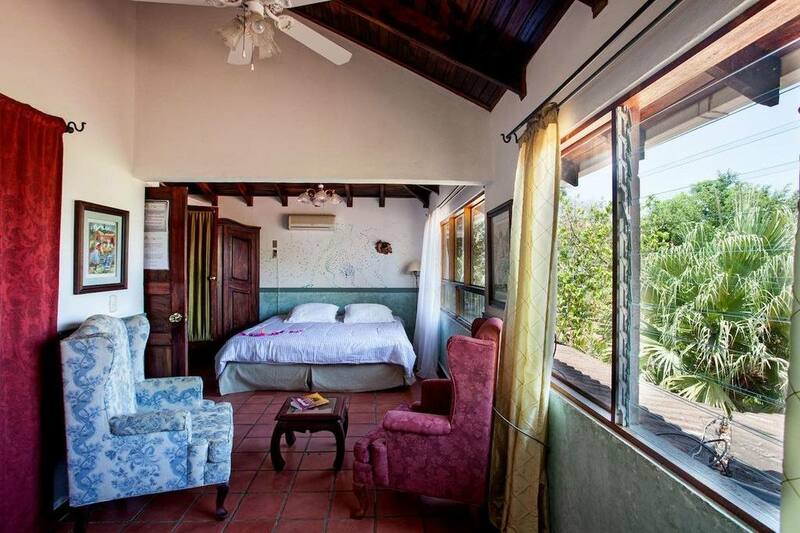 There are two ranchos where you can sit and relax and watch the different species of birds and howler monkeys playing in the trees and say hello to the iguanas. At breakfast, overlooking the bay at Playa Ocotal, the parrots will entertain you with their songs and antics. The pool and heated jacuzzi are just a short walk over the bridge where you can swim up to the bar for a cool drink. 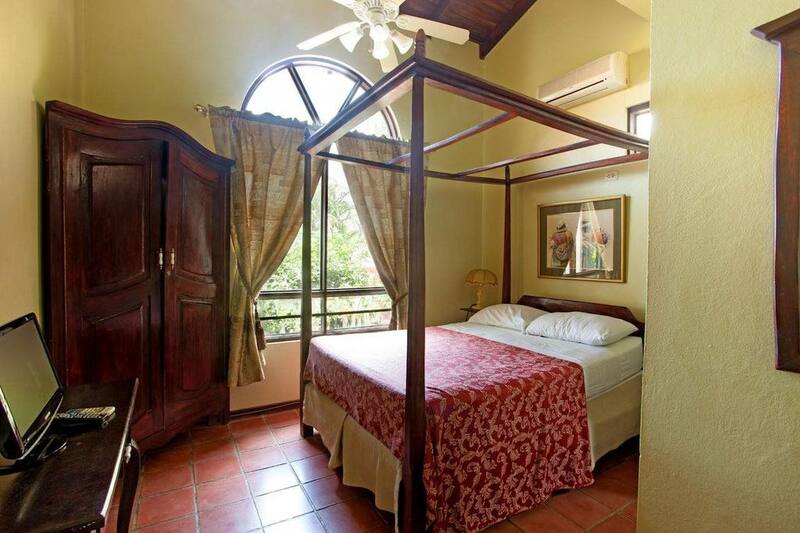 Villa Casa Blnaca rooms are uniquely decorated in rustic Costa Rican Spanish style with a touch of Victorian, with canopy beds (full & queen), private bathrooms, hot water, air conditioning, ceiling fans. There are Garden & Ocean view rooms available and all are non-smoking. Frommer’s, Fodors, and Lonely Planet all agree that the wonderful ambiance makes for a great vacation spot.